For most of June we’re challenged to vigorously support our Yintegrity (and that of others). Think of it as a test, which most of us will pass. If you let someone intimidate you out of being your True Self, it doesn’t mean you’ve lost. Go back and do it over. Tell them – calmly – that you don’t appreciate their trying to Shame you for not doing it there way, and you’ll accept an apology. If they’re bigger than you and prone to violence, tap it out instead, then PIAVA an alternative way to claim your space. There’s Yintegrity, and then there’s foolhardiness. If you ignore the Safety First rule, the Ego backlash will just make it worse. Mars completes its Confidence-Builder (third) Waning Square to Pluto on June 14 (the Portal spans June 1 through 23), and its Confidence-Builder Opposition to Uranus on June 24 (the Portal spans June 14 to July 3). We’re looking at 13 to 17 degrees of the Cardinal Signs, give or take. The Sustainability of our Beliefs dominates through June 1. June 2 should be an interesting day. If you’re willing to be open and loving with any Emotions and Memories that arise, you may be very surprised by the result – which could be Life-changing. As the Moon crosses Lilith, it makes a Septangle with Pluto and the South Node, peaking at 3pm PDT, with the Portal open for four hours or so on either side. See also June 3-7. The Septangle consists of a Triseptile between two planets (three sevenths of the way ’round the Zodiac) with a third planet at their far Midpoint – that is, Biseptile (two sevenths) to each. It means that Magic is afoot. June 3 to 7 could easily bring us a reset of our relationship to Other, including especially our relationship to the Goddess. With Neptune Stationary (see next paragraph), Mercury slows down to turn Retrograde on June 7. The Station forms, with Venus, a Bridge across the Lilith-Neptune Opposition. Mercury’s Shadow Period is draped across the Cancer Cusp, spanning 25 Gemini to 4 Cancer. The Cancer Cusp basically says “One more time, with Feeling!” We started something (in early April), made a big effort to complete it, and didn’t get it done to our satisfaction. So we took it apart, found out what was unsatisfying about it, and now we’re eager to start over. But we have to wait till July. That’s okay, we can review the blueprints one more time. Chances are this “something” has a lot to do with the Goddess – like maybe a whole new way of understanding the World. A Bridge forms when one or two planets form Trine-Sextiles across an Opposition. It represents “the easy way out” of the tension created by the apparent dichotomy of the Opposition, particularly if the Opposition is part of a T-Square. Expect to get pretty spacey June 8 and 9, if you weren’t already deep in Trance since June 2 or thereabouts. A good guideline to follow is that what is Confusing or foggy (and Emotional) through Material eyes, becomes Clear when viewed through Spiritual eyes. To locate your Spiritual eyes, look to see what’s the positive function of what appears to be negative. June 2-9 is about connecting to Spirit. You’re building something important to you here, and this is a time for breakthroughs about the parts you weren’t sure how to handle. Not so you can rush to finish, but so you know what to study over the next five months – then you’ll know what needs to be done and how to do it. Neptune is Stationary Retrograde on June 9 at 8 degrees of Pisces. It backs up to 5 degrees before turning Direct on October 31. That’ll make for some Halloween, and an especially lively Dia de Muertos. Five to 8 degrees of Pisces is the Taurus Duad. Heavy Emotions first overwhelm us, then inspire us. In the Taurus Duad of Pisces we get to work Manifesting our Inspiration into Form. We’ve been through this space once (since February), now we traverse it again more slowly, looking for puzzle pieces that we missed the first time. A Duad or Dwad is one twelfth of a Sign. The first two and a half degrees of Pisces is the Pisces Duad, next comes the Aries Duad, then the Taurus Duad, etc. round the Zodialoop. The likely spaciness we’ll experience June 2-9 will be augmented by some degree of Clarity around Boundaries and Choices. If you need to make decisions that can’t be postponed, you might find the Awe Shucks post useful. We covered the Pallas-Neptune Opposition fairly thoroughly in the Neptune Station II post. This is the Confidence-Builder, so it shouldn’t bring up too much difficulty. The same Clarity around Boundaries and Choices will strengthen between June 9 and June 12. The actual Pallas-Neptune Opposition occurs on the June 12. The Portal’s open for about 8 days before and after. Look to see if we get any major clues or shifts – or technological innovations – toward Cultural Sustainability between June 10 and 12. We’ll have to find time to analyze the Makemake discovery chart, as Makemake turns Direct on June 12 at 29 degrees of Virgo. It turned Retro during the last few days of 2013 at 2 of Libra. This is a very powerful Cusp, signifying the shift from individual effort to exploration of Community. Our first clue about Makemake’s meaning is that he’s here to help us transition to Sustainability, since he was a Survival God on Rappa Nui. With Mercury Retrograding into Gemini, we may be looking at technology to help. The discovery chart will tell us more about Makemake. Makemake is a dwarf planet about 2/3 the size of Pluto, orbiting in a fairly circular path in the neighborhood of Pluto. Makemake enters Libra thrice – October 19, 2013; September 7, 2014; and July 13, 2015 – as it stutter-steps across the line. It takes about 30 years for Makemake to cross a Sign, so we’ll only see a Makemake Sign-change such as this twice or thrice in a Lifetime. The last time it moved from Virgo into Libra was 1713. Ben Franklin was 7 years old. George Washington wasn’t born till 20 years later, Thomas Jefferson 30 years later, James Madison 40 years later. It’s interesting that the Pallas-Neptune Opposition corresponds with the Makemake Station. As they say, history doesn’t repeat, but it rhymes. As it was in Ben Franklin’s youth, remote masters are setting up conditions for possible revolt by overexploiting the People. Then they were geographically remote; now they’re sociopathically remote – though they were undoubtedly that then too. Great time to PIAVA Miracles between June 13 and June 19. The key to knowing when to seek Miracles here, is the sense of an Emotional Ego Death – the feeling that “I’d rather die than go through this again.” Tap it out, then PIAVA the Miracle. Chiron turns Retrograde on June 19, at 18 Pisces. Jupiter has left the building, but Saturn still Trines Chiron. Chiron’s Shadow Period spans 14-18 Pisces, which is basically the Virgo Decanate. If you get Confused, move to seeing the World with Spiritual eyes rather than Material eyes. PIAVA to know the deeper meaning of any untoward experiences. Don’t get lost in the Emotions – take a wider perspective. If there’s conflict, look to see things through the eyes of the overarching Community that encompasses yourself and your antagonists. If that Community doesn’t seem to exist, imagine it! You don’t know what it looks like? What if you did know? What notions did you just reject? That’s probably your clue. If they’re open to understanding your goals, pursue it. Once you’ve gone through these preliminaries, you should be on the same team, with both of you working to meet your common goals, and open to finding ways to at least partially meet one another’s goals where they conflict. If you can’t disengage, you need to play Win-Lose with them and defend your goals as best you can. Whether you can disengage or not, at this point you know enough about the portions of your goals and theirs that overlap. Work independently of your antagonist to meet those goals. If Emotionality bogs you down, talk about it as directly as you can. This is a singular event, a Waxing Square from Juno back to Neptune on June 29. The Initiation occurred January 9 of this year at 4 Pisces, “Heavy traffic on a narrow isthmus between two seashore resorts.“ Mercury is also Stationary here, getting ready to turn Direct on July 1. Expect Rebirth as June ends. We also get to restart our Big Project. The dwarf planet Haumea turns Direct July 4 at 20 Libra. Haumea was named after Pele’s mother, the Hawaiian Goddess of Fertility. It’s about a third as big as Pluto, and orbits in the same region. More on Haumea later. Mercury turns Direct again on July 1. It doesn’t make a lot of sense to talk about a Shadow Period for Neptune, because Neptune’s always in a Shadow Period. It enters the zone of its upcoming Retrogradation before it leaves the zone of its previous Retrogradation. Another way to say that, is that next year’s Neptune Retro zone in the Zodiac overlaps this year’s. Which is to say, every Neptune Shadow Period lasts more than a year. The same is true of Eris, Pluto, Uranus, and Chiron, when Chiron is out near the orbit of Uranus – as it is now, not when it’s in near Saturn’s orbit. Inability to focus, absent-mindedness, heavy Trances, attention directed to the cultural and Spiritual levels of existence, clear Insights, visions and hallucinations. Remember that Neptune usually comes through as Confusion when we’re viewing the World through a Material lens, and Clarity when we’re looking through a Spiritual lens. So Mercury-Neptune could bring Epiphanies, Doubt about Worldviews and Beliefs we hold that are no longer aligned with the shifting winds of cultural “Reality,” access to non-ordinary states of Reality, speaking in tongues or Light Language, or any number of other Mental-Spiritual crossovers that most of us don’t experience every day. Remember that Neptune sat on the South Node on January 1, 2000, which we call the “Loss of the Veil” – the breakdown of the walls between the 4-D “Reality” we usually limit ourselves to, and everything that’s beyond. So we expect that “Loss” to be a “feature” of the 21st Century. This year’s Retrograde adventures of Neptune spanned almost exactly the second or Aries Duad of Pisces. We’ve dealt with it twice already, from mid-February till early June, and from early June till now. In other words it more or less corresponds to our first (Can-Opener) and second (Exposition) adventures with Consciousness of our Position and Trajectory in the Evolution of the Universe (Juno Squaring the Nodes). We’ll probably sew all that up – and gain a better understanding about how it all fits together, when Neptune Initiates Juno in January. So what would we say about the second Duad of Pisces? Aquarius tests our Confidence in our Community, in the same way that Leo tests our Self-Confidence. Since Humility and Vulnerability are not particularly rewarded, at least in Euro-American cultures, much of our Confidence in either arena involves “fake it till you make it.” Getting to Pisces is like getting off the stage after a performance we enjoyed or one we barely squirmed through. Either way we get hit with heavy Emotion – we have to deal with the repercussions of our hubris, or the nightmares of reliving a performance that failed our standards – all while being forced to move on with our lives, with no weekend to debrief. Think getting out of high school, or moving to the Big City. The Pisces Duad of Pisces is about exactly that overwhelming burst of Emotion. In the Aries Duad we find Inspiration and Passion in the floodwaters. Those of you born around the 21st through 23rd of February can verify – or not. Now that we’ve lived through the Can-Opener and the Exposition of our Karma-Desire Review – which we could even equate to the Judgment after Death, are we finding some small flame of Energy amid the Shame and Fear we’ve been dealing with? It might be a little too soon; we should ask the question again in the Spring. Retrograde Cycles frequently involve these three-part Learning Opportunities – Can-Opener, Exposition, and Confidence-Builder, as one planet crosses a given Angle to another planet three times. Pallas and Neptune are dancing with the stars in this way. Pallas Opposes Neptune on November 15, then again after it turns Retro, in February, and for the third time in June. The current Pallas-Neptune Cycle began in February 2012 at 1 Pisces, “In a crowded marketplace farmers and middlemen display a great variety of products.” At the Opposition, folks either begin to enjoy the fruits of their labors, or move to a higher perspective and begin to debrief their adventures in order to discover what it was that they really excelled at during their efforts. Pallas-Neptune is about our Spiritual Edges and Social Boundaries. If we’ve been moving into the marketplace during 2012, we should begin to see rewards by June, with critical review of our progress next week and in February. If we haven’t been moving out into the marketplace, then the Neptune Station is likely to initiate a debriefing about what we’ve been up to over the last two years. With Pallas entering Virgo, there will be a temptation to Judge ourself. Anticipate that monolog, hear it, recognize it, Witness it, and embrace it lovingly, but don’t believe it. Look behind it. There is an Expectation there, or Judgment wouldn’t be possible. Examine the Expectation. Is it still relevant to who you’ve become? We’ve spent most of the last year Becoming someone new, in several different ways. That’s a full-time job, so we deserve a great deal of forbearance in any case. Now we need to review our Expectations – do they arise from our Mission or our Yintegrity? Or from our programming. Given the degree of Change we’ve been through, I’m guessing that most of our Expectations of Ourselves will no longer be what we really Want. Calculus is difficult for folks trained in logic, because it doesn’t involve a chain of logical consequences. In calculus you have to go to the end result that you want, and guess your way backward to where you started, one step at a time. Reverse engineering. That’s what we need to do with this marketplace. What has changed for you, and how have you changed, since February 2012? There is something there that’s not only positive, it’s sterling. Remarkable even. That is what you’ve been working on, not your old Expectation. Honor yourself for that. It’s not the same marketplace you thought you were in when Time Ended. It’s a lot more Authentically You. Manganaxinite – Calcium Manganese Aluminium Borosilicate. Grounding through Feminine channels – a Silk chord from the base of your spine to the center of the Earth. Always the first response to Neptune – Grounding. Healing Emotional wounds and Judgment, realigning our orientation to changing Realities and Relationships. Borosilicates evoke Magic. 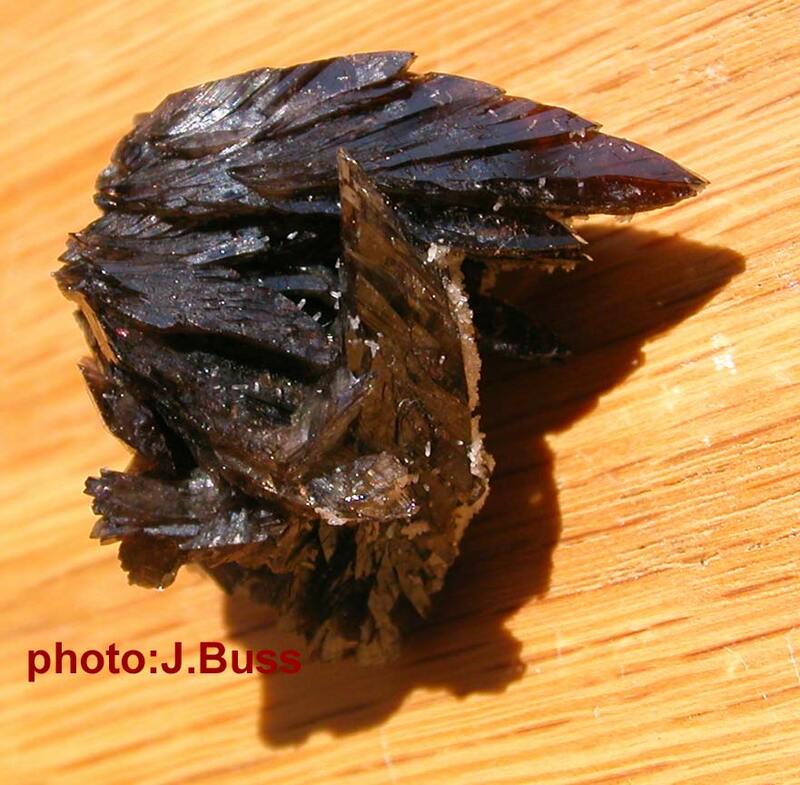 Manganese opens the Heart without losing our Grounding.